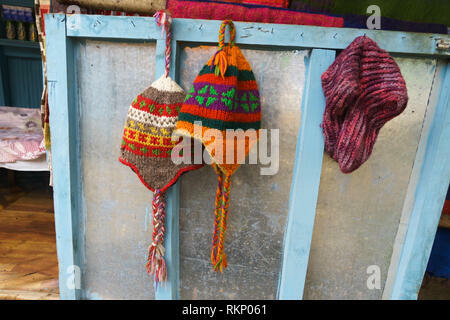 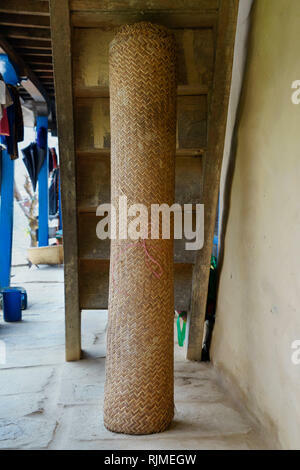 Woolen hats for sale at a guesthouse in the Annapurna region, Nepal. 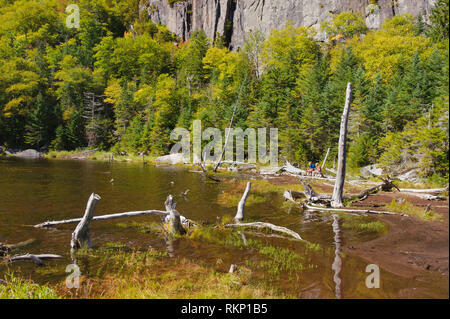 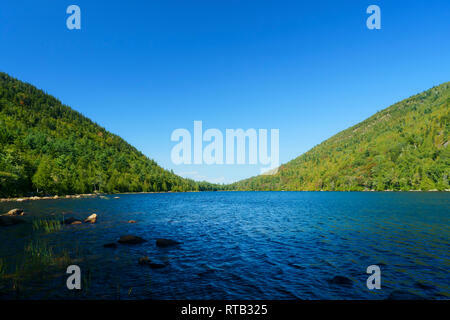 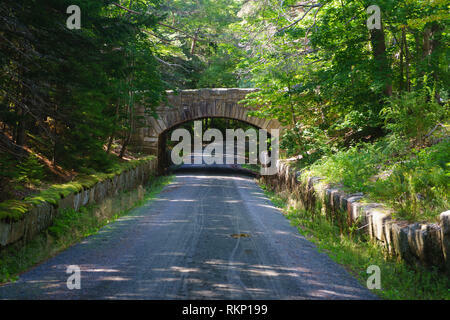 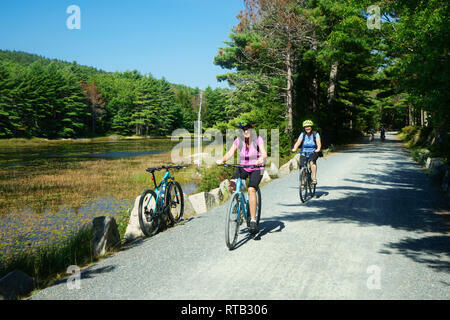 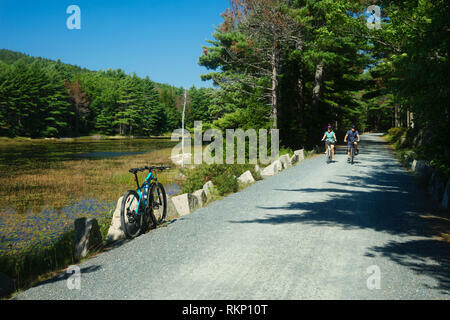 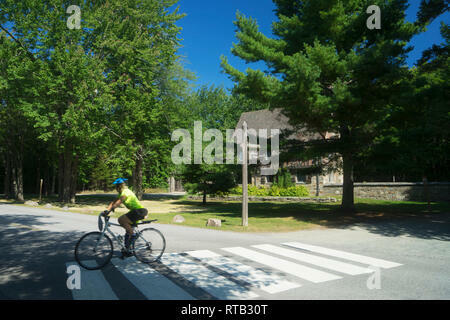 Couple riding their bicycles on the Eagle Lake loop carriage road, Acadia National Park, Maine, USA. 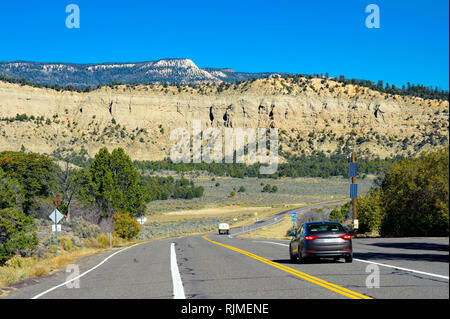 Scenic Byway 12 near Escalante, Utah, USA. 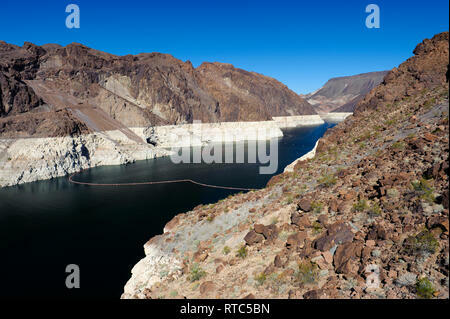 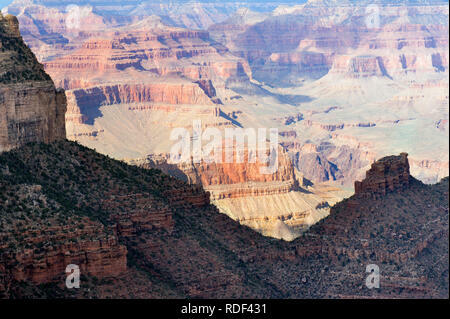 .Seen from the Head of the Rocks overlook. 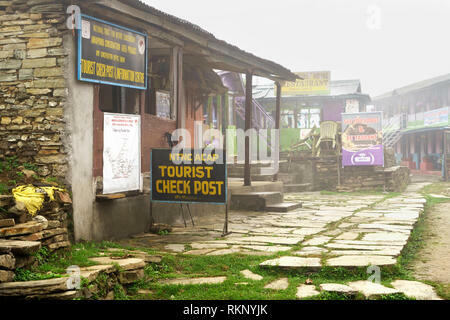 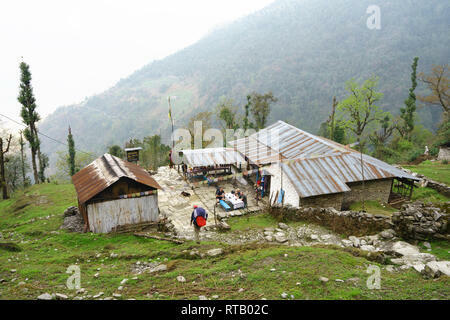 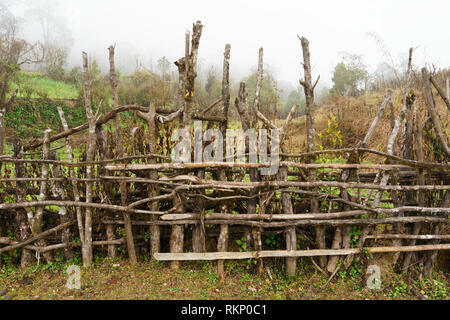 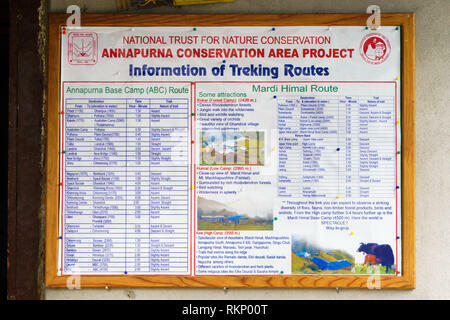 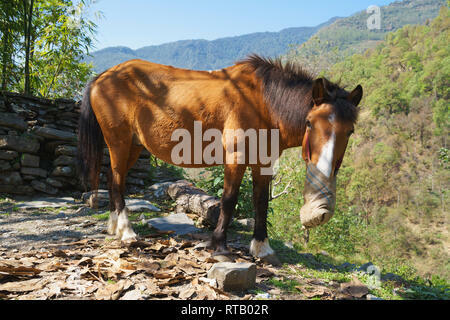 Tourist check post and information center in the village of Pothana, Annapurna region, Nepal. 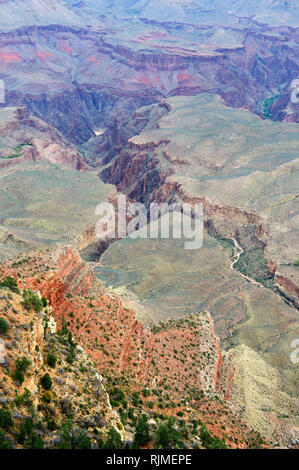 Looking down into Grand Canyon from the South Rim. 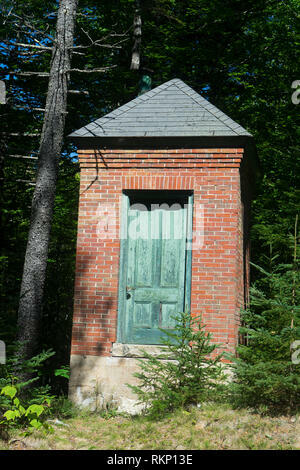 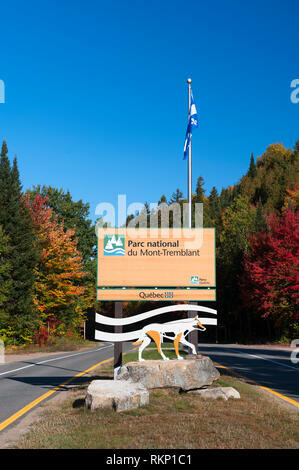 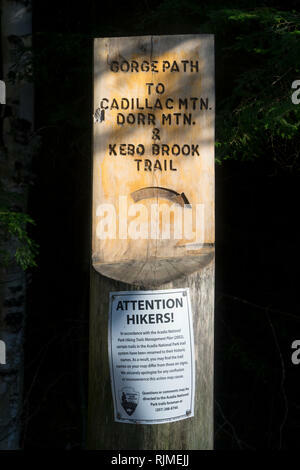 Carved wooden sign for hiking trails in Acadia National Park, Maine, USA. 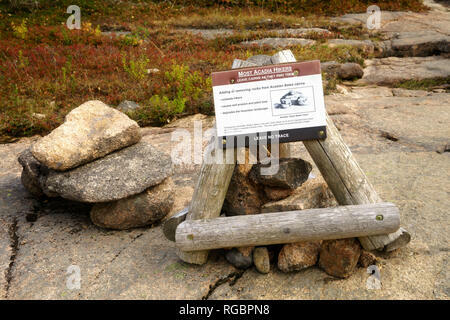 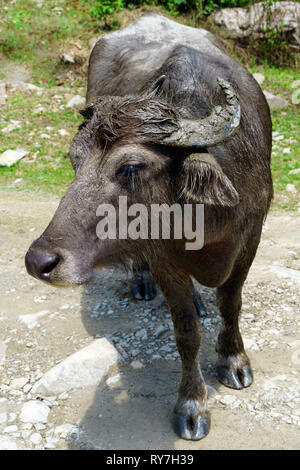 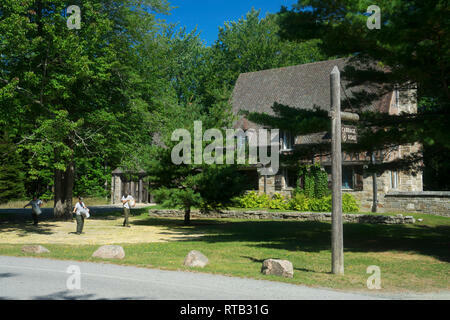 A notice to hikers from National Park Service is screwed to the wooden post. 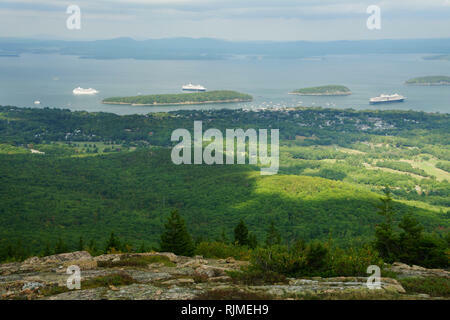 Cruise ships in Frenchman Bay, Bar Harbor, Maine, seen from the top of Cadillac Mountain, Acadia National Park. 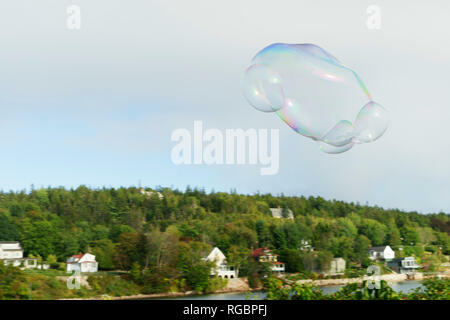 Soap bubble floating in the misty sky near Bar Harbor, Maine. 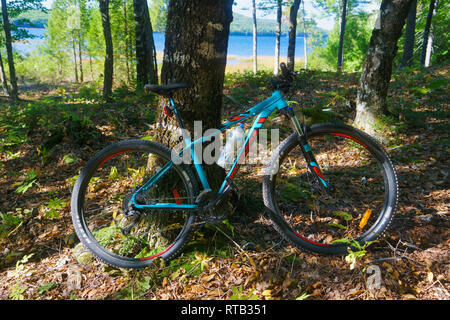 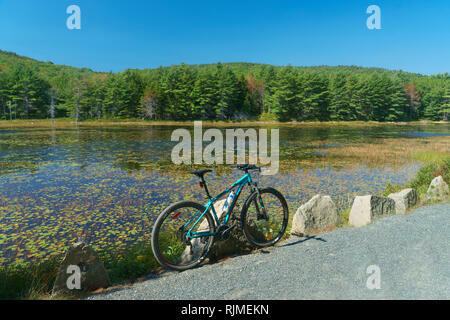 Mountain bike parked on a carriage road edging Eagle Lake in Acadia National Park, Maine, USA. 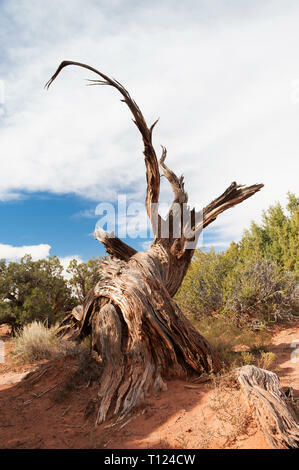 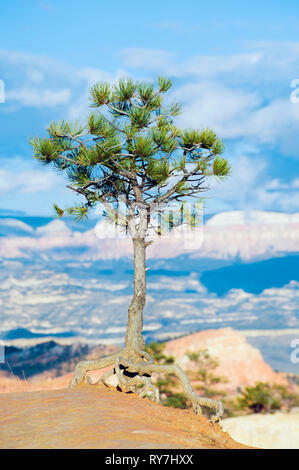 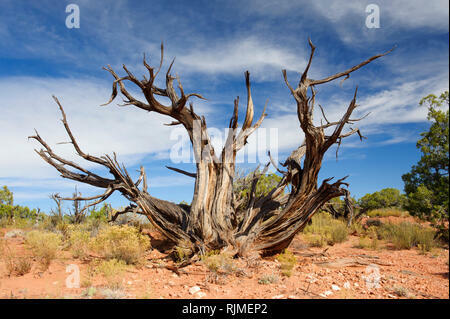 Dead juniper tree in the arid environment of Dead Horse Point State Park, Utah, USA. 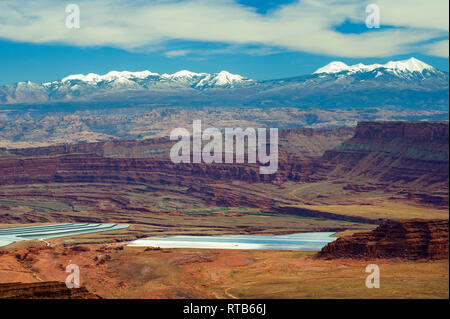 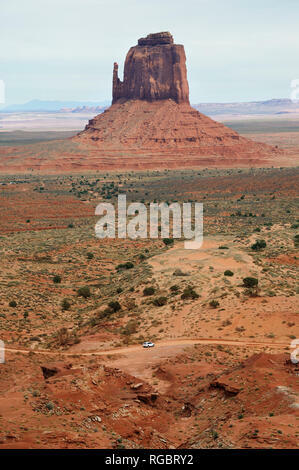 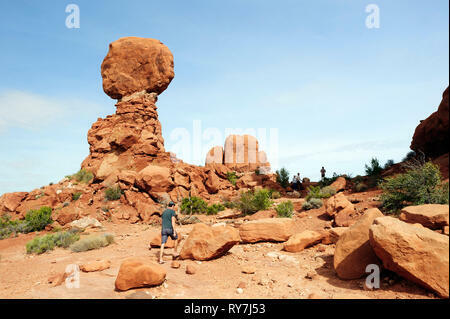 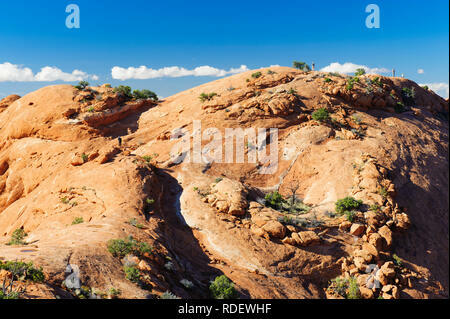 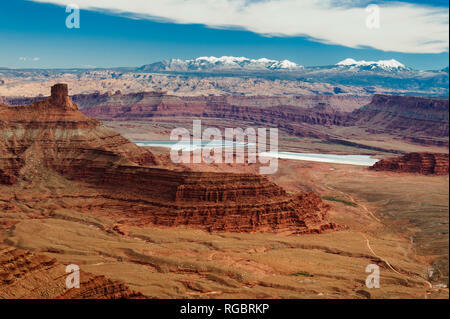 Spectacular panorama of mesas and La Sal Mountains, Dead Horse Point State Park, Utah, USA. 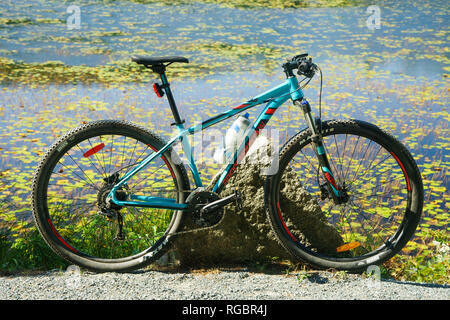 Rocky Mountain hard tail bike parked on the edge of a pond. 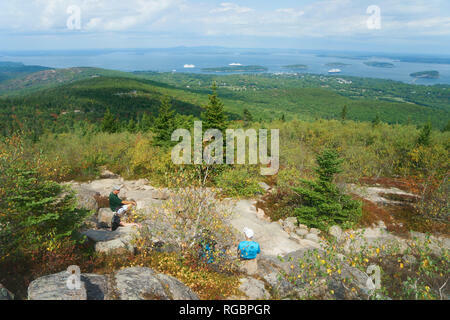 Hikers resting on the top of Cadillac Mountain, Acadia national Park, USA. 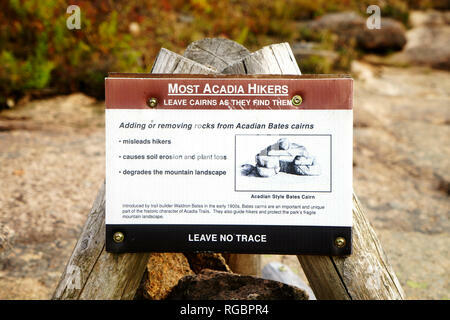 Sign warning hikers to leave Acadian Bates cairns as they find them.Acadia National Park, Maine, USA. 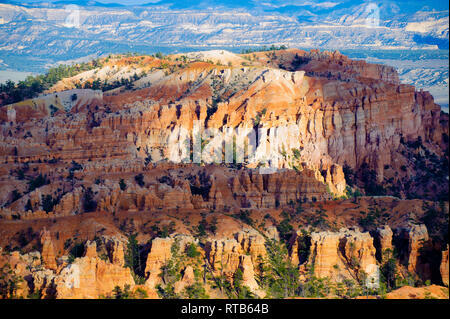 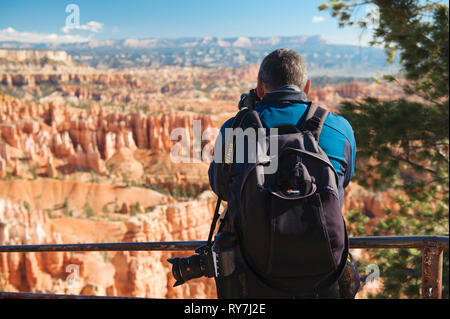 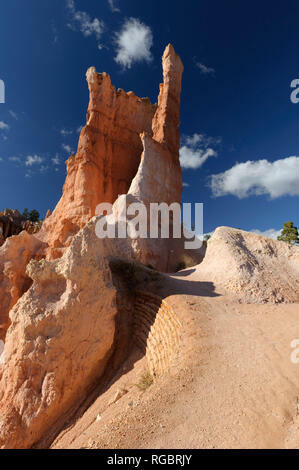 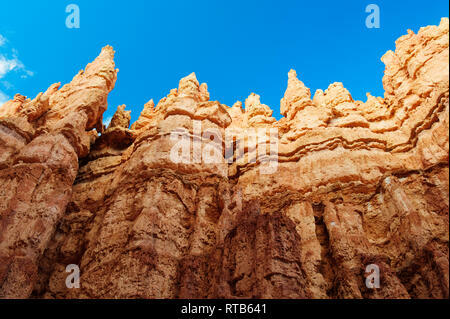 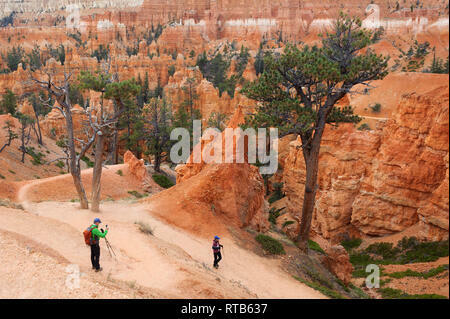 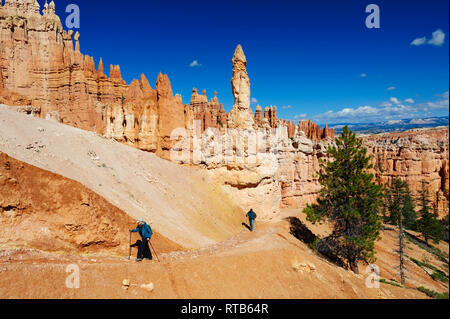 Hiking trail and hoodoo on a beautiful sunny day, Bryce Canyon National Park, Utah, USA. 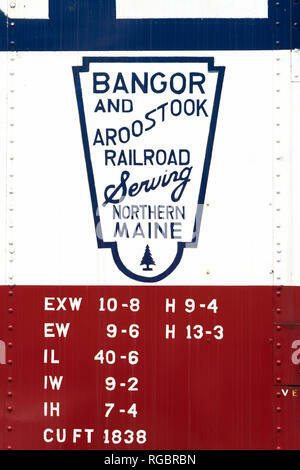 Bangor and Aroostook Railroad logo on an antique wagon displayed at the Conway Scenic Railroad in North Conway, New Hampshire. 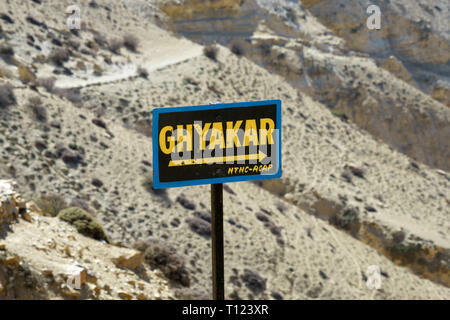 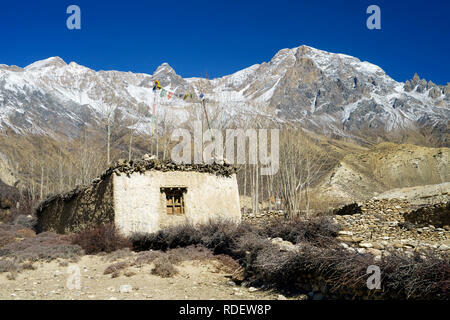 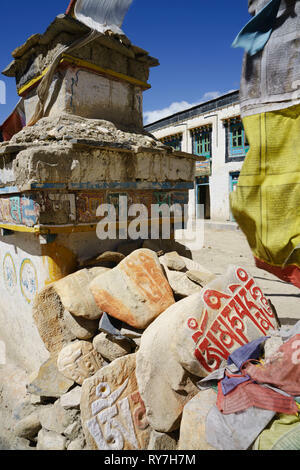 Ancient Tibetan house near Syangbochen, Upper Mustang region, Nepal. 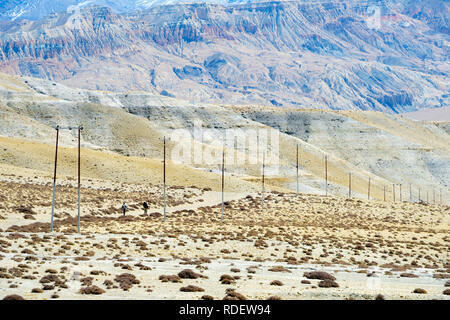 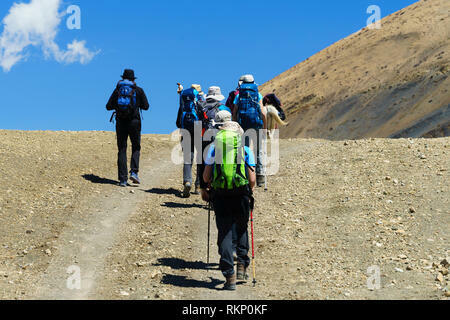 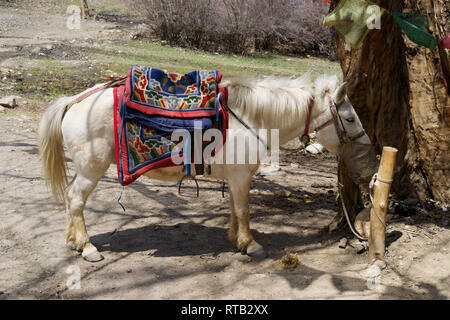 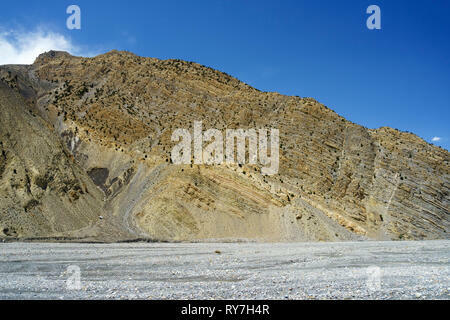 Two trekkers walking towards Tsarang on a track bordered by utility poles, Upper Mustang region, Nepal. 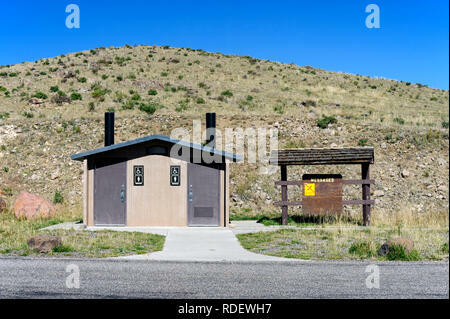 Public toilet at Homestead overlook on Utah's Scenic Byway 12. 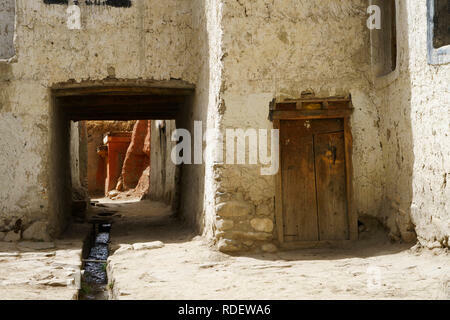 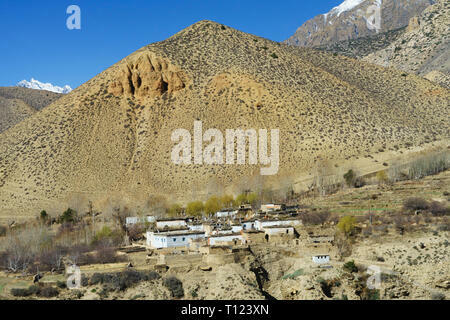 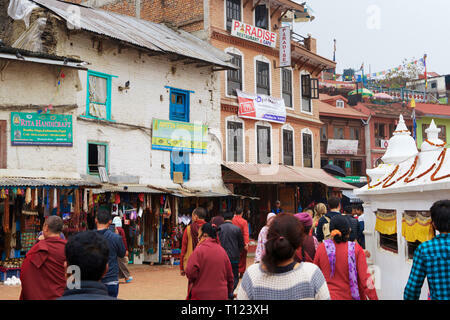 Ancient Tibetan house and passage in the fortified city of Lo Manthang, Upper Mustang region, Nepal. 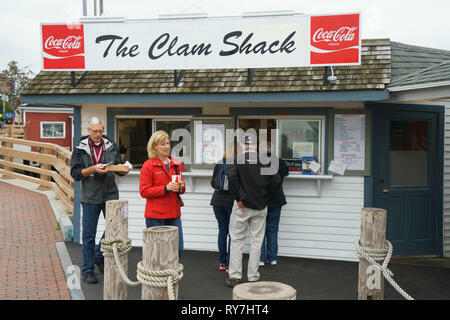 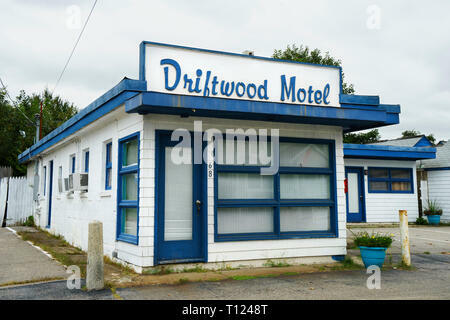 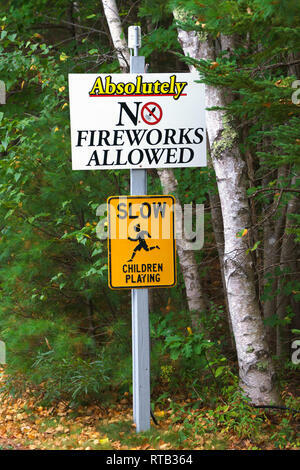 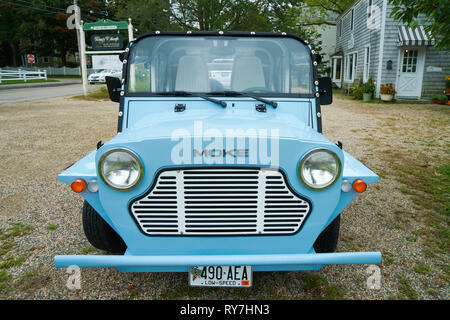 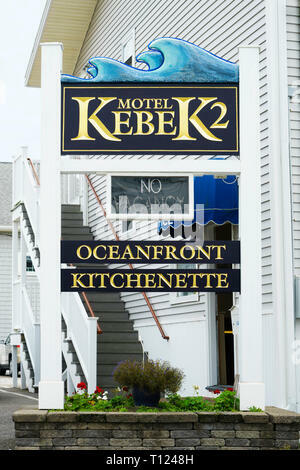 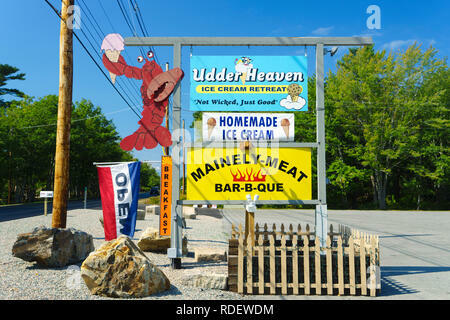 Signs for roadside restaurants in Bar Harbor, Maine, USA. 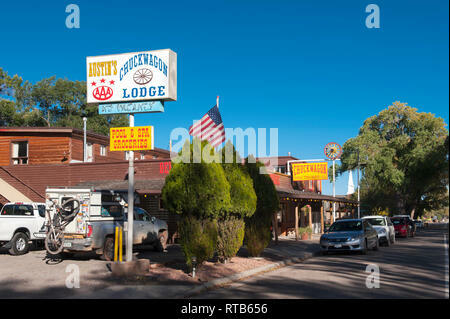 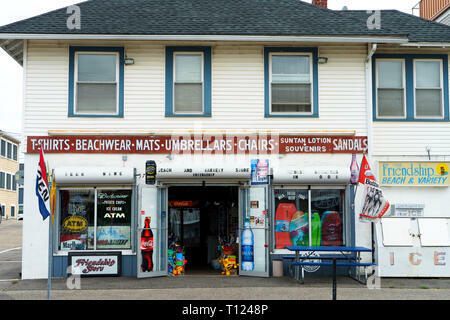 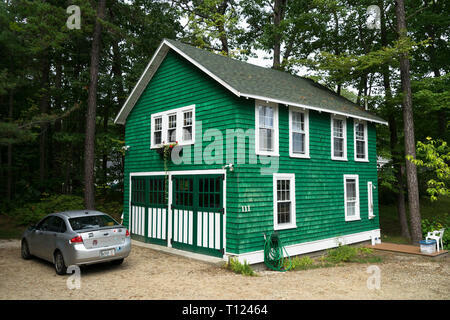 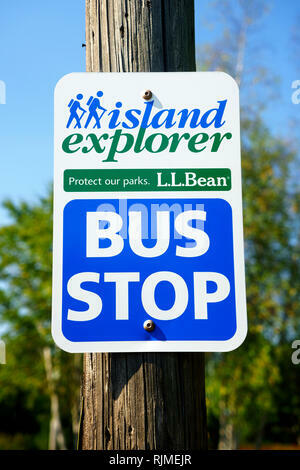 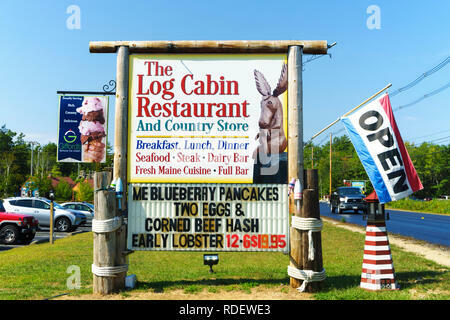 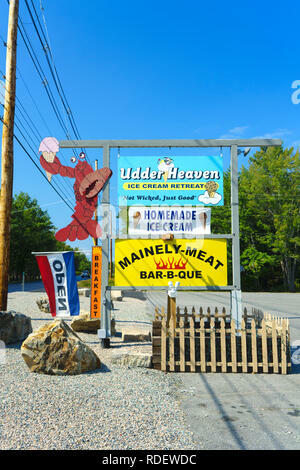 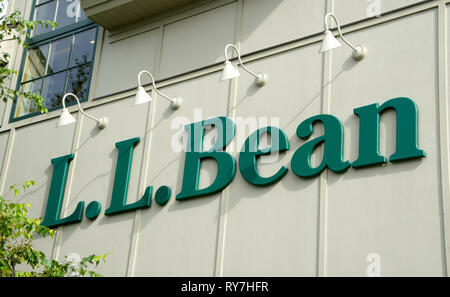 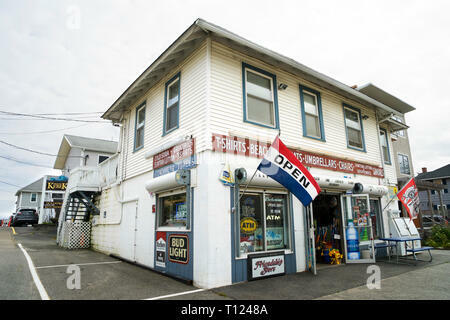 Signs for a roadside restaurant and country store in Bar Harbor, Maine, USA. 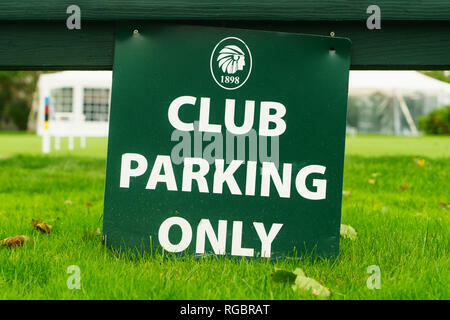 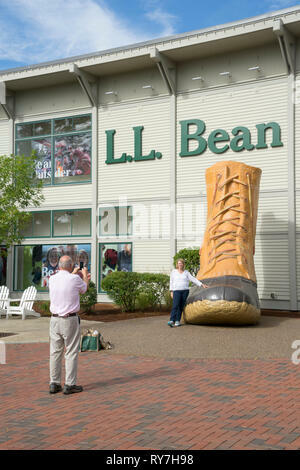 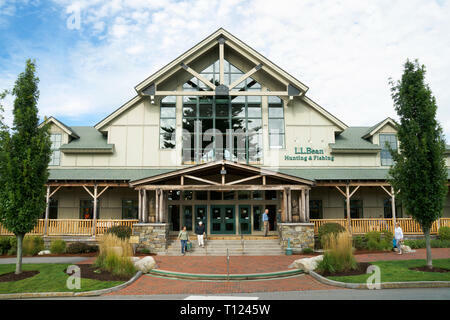 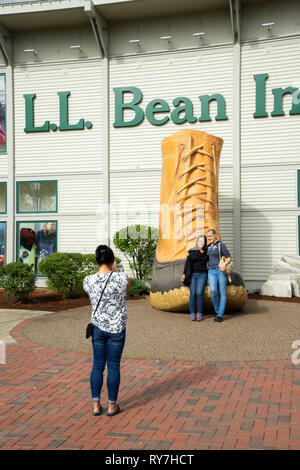 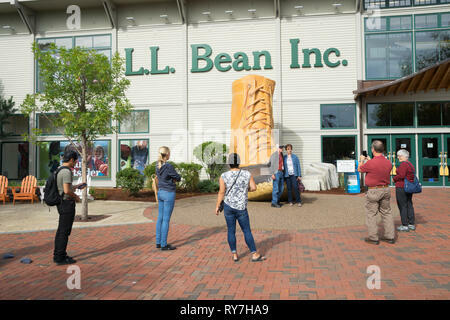 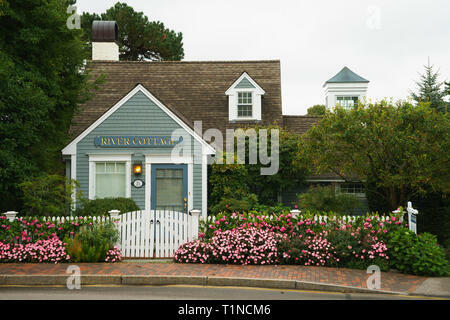 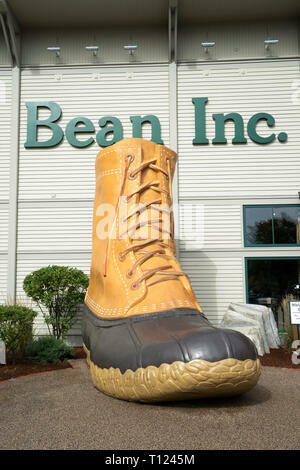 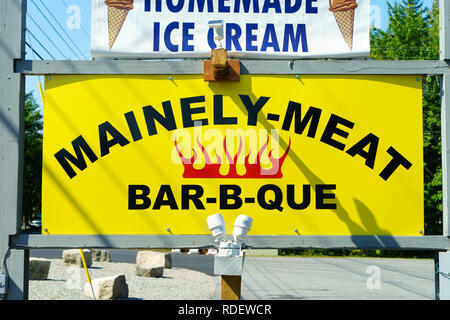 Sign for a Barbecue restaurant in Bar Harbor, Maine, USA. 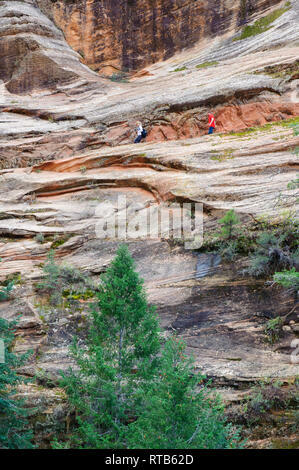 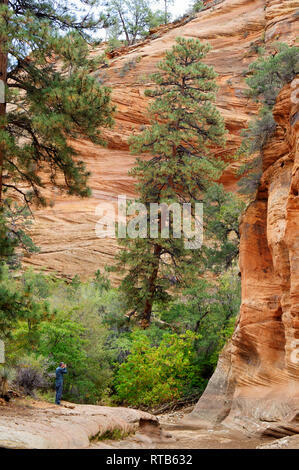 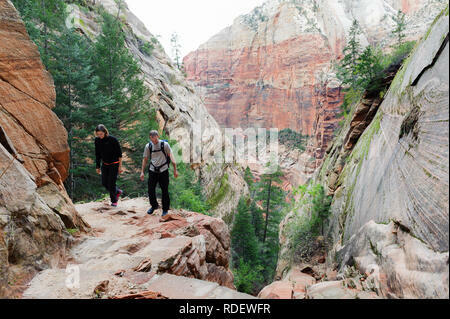 Couple hiking on Hidden Canyon trail in Zion National Park, Utah, USA. 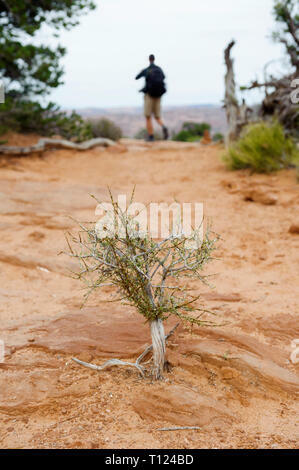 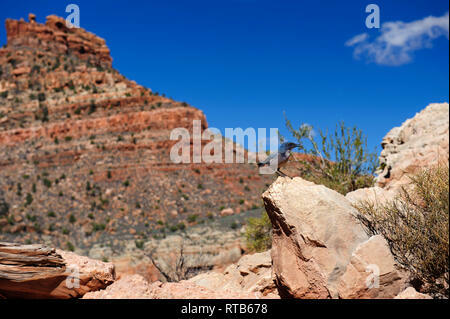 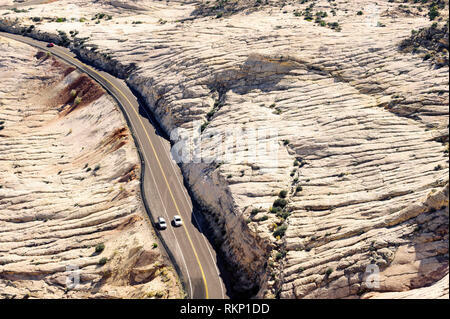 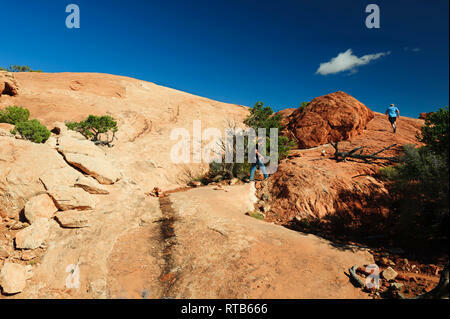 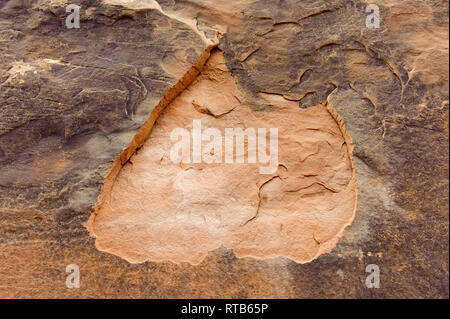 Upheaval Dome Overlook trail, Canyonlands National Park, Utah, USA. 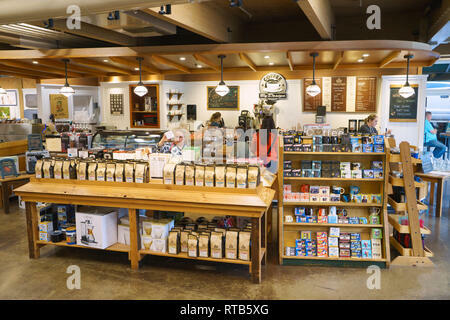 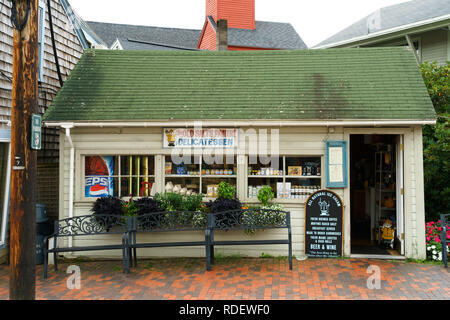 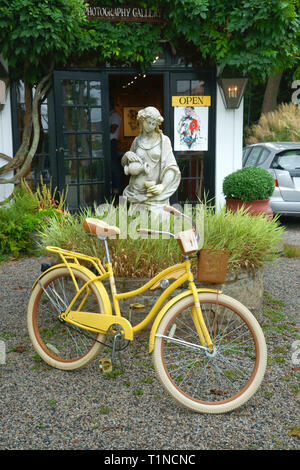 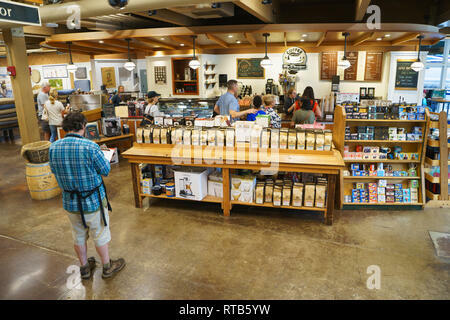 The Old Salt's Pantry delicatessen in Kennebunkport, Maine, USA.